Best Speed UP My PC Software, fix PC errors in 3 Steps! Smart Speed up My PC Pro provides you with Registry Backup, System Backup, Favorites Backup and Folder Backup. In addition, the new built-in function of Restore Point enables you to create a system store point so you can recover your system to a previous state if you do not like the changes you have made. This ensures the safety of your system. Your comuter will run at perfect speed! How to speed up my PC? You Need Three Simple Steps! Smart Speed up My PC Pro gives people a comprehensive suite of utilities fronted by an interface that showcases an excellent use of color-coded icons, making banal system tasks easy to complete. Smart Speed up PC Pro also cleans away junk registry that clutters your system and burdens PC performance. Speed up My PC Software includes tools that can be split into three categories: maintenance, security, and backup. Smart Speed up My PC Pro focuses on the maintenance side of things, and includes a Registry Cleaner, a disk defragmenter, a disk repair utility that claims to fix errors before drive failure and an explorer for managing disk usage by file type and size. Backup and recovery features include rescuing deleted files, a backup manager that streamlines restoration, and a separate system file backup and restore feature. Smart Speed up My PC Pro allows users to run multiple maintenance tasks with one click. The new main window is well-crafted and takes a page from security suites by providing status updates in one place, letting you know what the problems are in general terms. At the end of a scan, a small Details link will appear to the right of the scan type. Click it to drill down to see specifically which files, Registry entries, or cookies will be deleted. 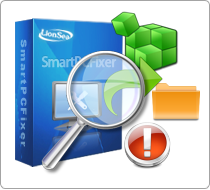 Smart Speed up PC Pro can be employed to uninstall junk programs. Smart Speed up PC Pro supports all Windows versions: Windows 7, Windows 8, Windows Vista, Windows XP and other Windows versions. * Smart Speed UP My PC Pro will fix PC errors in 3 Steps!